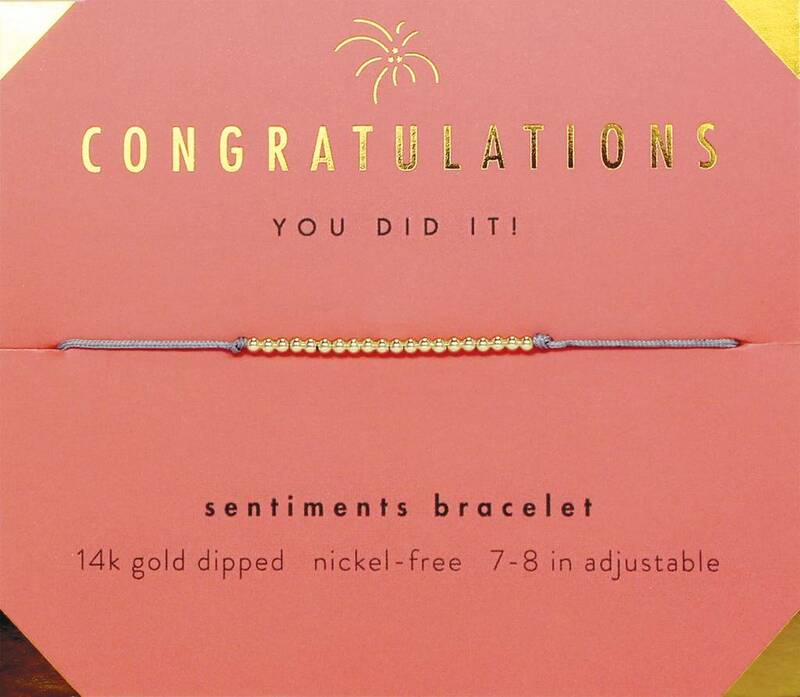 This dainty bracelet is the perfect way to congratulate a loved one on an amazing accomplishment! 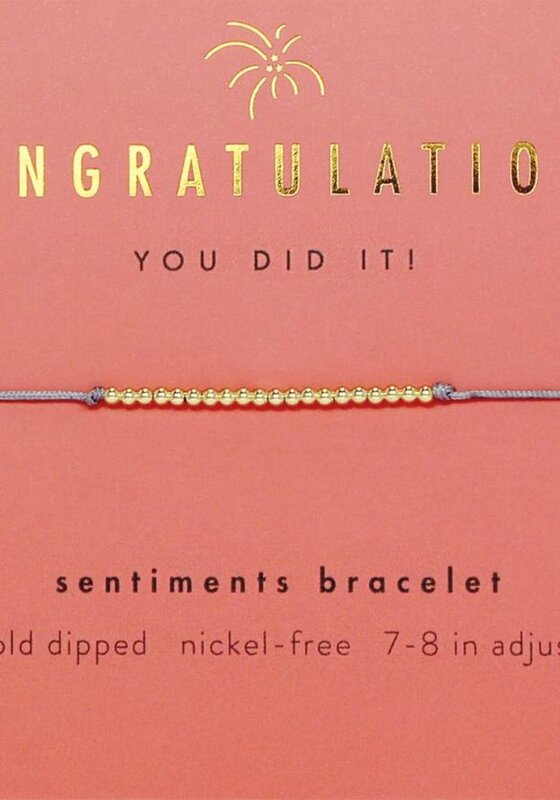 Packaged on a sweet card that reads, “Congratulations - You Did It!”, this beaded bracelet reminds everyone to take pride in their big moments! Gift it or keep it, either way it is a unique way to celebrate an exciting day! Each bead is dipped in 14k gold and nickel free.